Case study: Farmer Jo Fancy Muesli. Food photography for packaging redesign and new website launch. 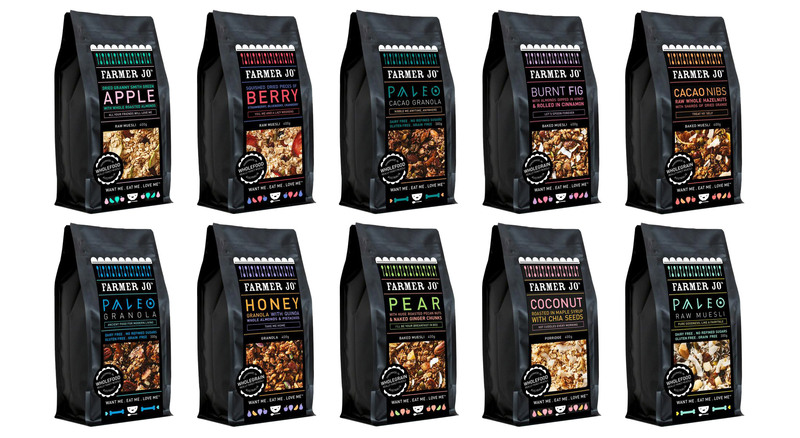 The brief was to create a vivid macro closeup of each of Farmer Jo’s gourmet muesli to highlight the special inclusions synonymous with each flavour. The image was to be integrated into the new black packaging to create an overall dramatic and stylish presentation of product. The resulting photographs are warm and delicious, evoking both a sense of the actual product and its taste. Photography by Tanya Zouev | food styling by Janet Mitchell.